Overview – How Can the Mighty Vaporizer Help You? 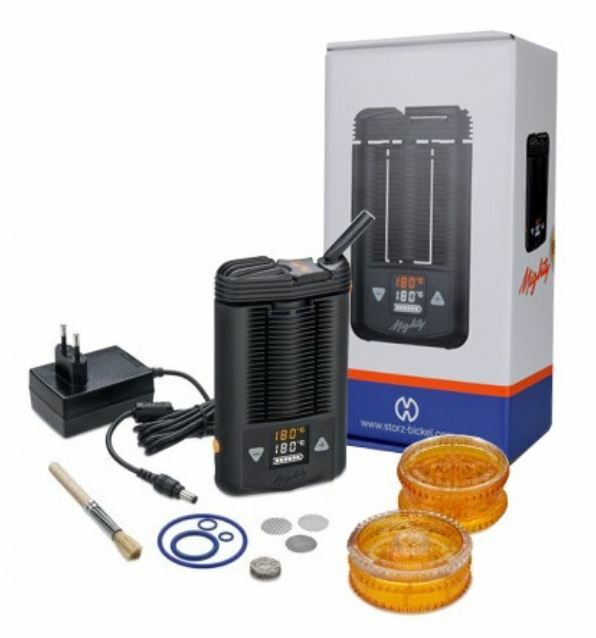 Mighty Vaporizer will provide you with a great experience in vaping medical marijuana herbs and wax. The Mighty Vaporizer (the ‘Mighty’) is one of the most popular portable vaporizers on the market. It’s made by the German company Storz and Bickel. The company is well known for its high quality vaporizers, such as the Volcano. The Mighty is closely related to another vaporizer made by the company called the Crafty vaporizer, which is known for its portability. The Mighty is portable also; but, not as portable as the Crafty. You can use the Mighty to smoke medical marijuana herbs and waxes. The device is relatively easy to use thanks to its LED screen and temperature buttons. It’s also one of the most portable desktop vaporizers on the market. All of these features, along with its power options and neat design, makes it definitely worth reviewing and potentially worth buying. Just like any desktop vaporizer, you can use the Mighty by connecting it to a power outlet without having to worry about batteries. If you don’t have access to a power outlet, or would like to use it without restrictions, you can rely on its dual lithium ion battery. The battery will last you for hours in between recharges. Together with its design, the battery plays a great role in the portability of the device. One feature that Storz and Bickel does well in many of their vaporizers is incorporate a dual or hybrid heating system. The company does this by combining hot air convection with conduction. The convection will provide continuous vaporization while the conduction ensures you have vapor from the first breath onward. This saves your herbs as the device heats the air around the herbs rather than heating the herbs themselves. So less herbs are wasted. Nothing’s perfect and the hybrid heating system comes at a price – which is a slower heating time. This isn’t an issue if you’re using the Mighty as a desktop vaporizer. But if you’re using it on the go, then you’ll probably want a faster heating up time. Temperature controls are precise and easy to use. The device has two buttons to control the temperature, which is displayed on an LED screen. The buttons have up and down arrows that are used to raise or lower the temperature respectively. Overall, operating the device is relatively easy. We’ll cover using the device later. You’ll find that all the accessories that you will need included in the box. For example, there’s the liquid or oil pad which you can add to the device in order to use it to smoke concentrates. You can also use it as a half pack oven insert to fill the chamber if you don’t have enough herbs. A grinder and cleaning brush are also included. Storz and Bickel kept anything you might worry about in mind when packing the Mighty vaporizer. The Mighty is made of high grade plastic and is a device that undoubtedly produces high quality vapor. Unfortunately, the construction isn’t up to standards one would expect for the price. Some users have reported the device breaking down. This is an issue you should be aware of irrespective of the cause – e.g. poor construction or trauma due to portability. On the positive side, the device stays cool though and doesn’t transmit heat to its outer surface, which is good news for any portable vaporizer. 1.Let the device heat up for 15 minutes before the first use in order to get rid of any manufacturing substances. 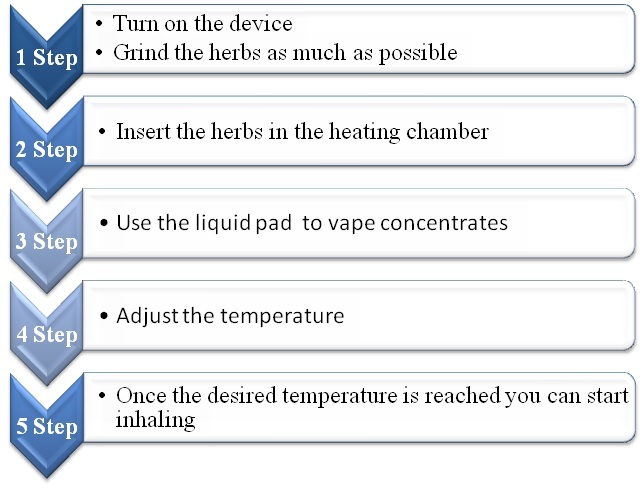 2.The more you grind the herbs the better your vaping experience will be. 3.Clean it often to keep it in best shape. 1.Soak the cooling unit and mouthpiece in isopropyl alcohol. 2.Don’t use acetone as it can remove the color of the plastic components. 4.Wait until components are dry before reassembling. 5.Take care while disassembling as components may break. 2.Extremely easy to use and clean. 4.Can be used to smoke medical marijuana and waxes and concentrates . 2.Users report that components may break easily. Customer support Mighty Vaporizer is provided www.vapornation.com by e-mail, chat and phone line. www.VapoNation.com. Our final verdict is that the Mighty deserves a rating of 4.2/5. The product produces vapor of excellent quality and is one of the easiest devices to use. You can use it to smoke medical marijuana herbs or concentrates according to your preference. Its temperature settings are accurate and simple. The battery and design make it portable and easy to travel with. Unfortunately, the fact that it breaks easily really brings down its rating – especially when you consider its price. You don’t buy a $349 vaporizer to have one of its components break cleaning. Even if it has a 2 year warranty. 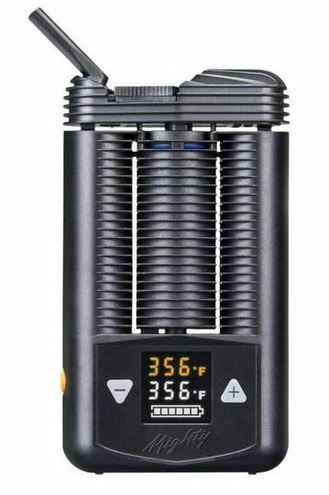 That’s all for our Mighty vaporizer by Storz and Bickel review. The German vaporizer certainly leaves us with a lot to think about. If you have experience with the device then please share them in the comments to help others who are still considering whether or not they should buy the Mighty vaporizer.